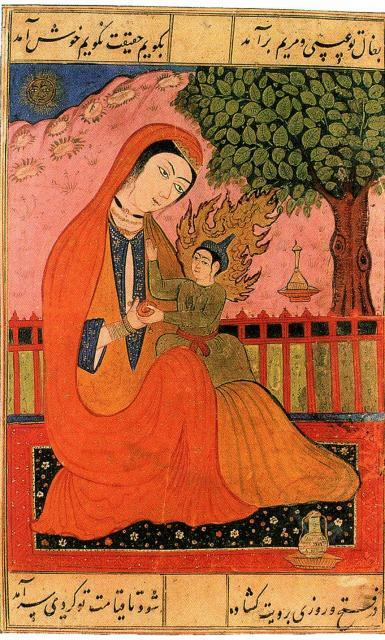 In Abrahamic religions, Mary (Judeo-Aramaic מרים Maryām "Bitter"; Arabic: مريم (Maryam); Septuagint Greek Μαριαμ, Mariam, Μαρια, Maria; Syriac: Mart Maryam) was the mother of Jesus. Her story is told in the New Testament of the Bible. According to the law that Israelites follow, Joseph had the right to divorce Mary publicly, but he did not. 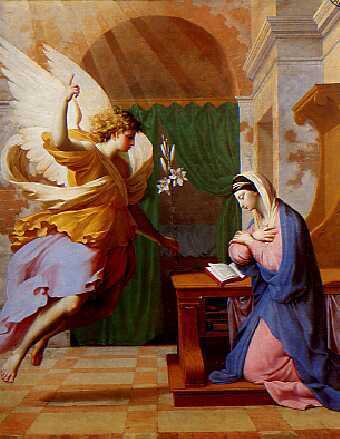 In a dream Joseph was told that Mary conceived by the Holy Spirit. Thirty-three years later, Jesus was killed by crucifixion. Many of Jesus' apostles were scared of the Roman soldiers and ran away. 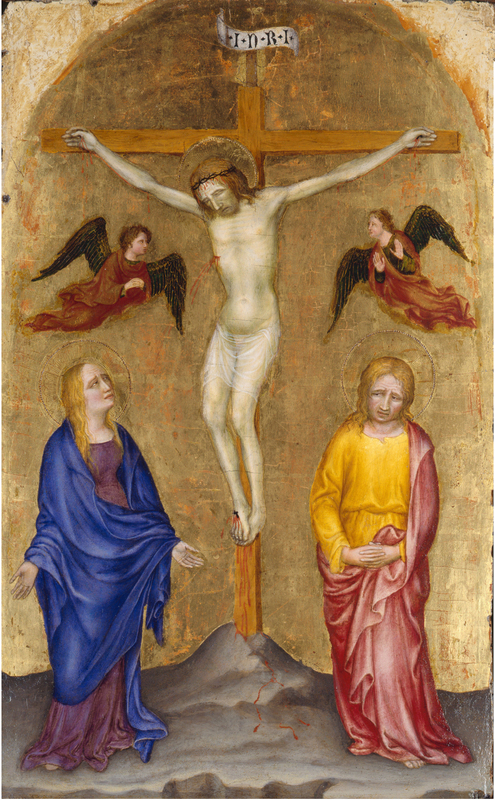 However, Mary stood by the cross and was with Jesus when he died. As he was dying, he told the young disciple John to care for Mary as if she was his own mother and the words were "Women,this is your son. "This is your mother". On the third day after Jesus' death, Mary went to Jesus' tomb with other women. They saw that the stone was rolled away from the tomb, and his body was gone. An angel told the women that Jesus had risen and is alive. Mary is given honor in the Christian faith. She is especially honored as "the Mother of God" in the Roman Catholic Church She is also honored as "Theotokos" (roughly translated as "the one who gave birth to God") in the Eastern Orthodox Church. In Christianity, Jesus is thought to be both fully God and fully man. Many people who pray to Mary use a prayer called the Hail Mary. The first part of the prayer honors Mary: "Hail Mary, full of grace, the Lord is with thee. Blessed art thou amongst women, and blessed is the fruit of thy womb, Jesus." The second part of the prayer asks for Mary's help: "Holy Mary, Mother of God, pray for us sinners, now and in the hour of our deaths. Amen." Mary (mother of Jesus) Facts for Kids. Kiddle Encyclopedia.